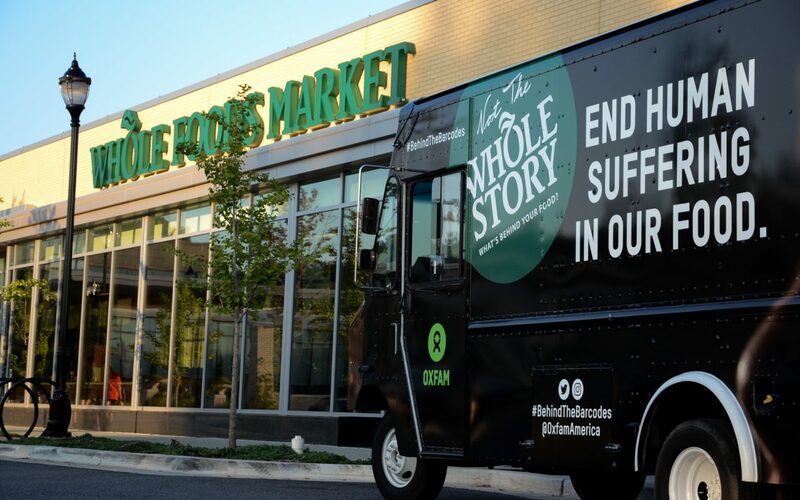 Oxfam’s Behind the Barcodes Food Truck travels to Whole Foods’ headquarters to get the company to address inhumane treatment in its supply chain. Road trips make me nostalgic. 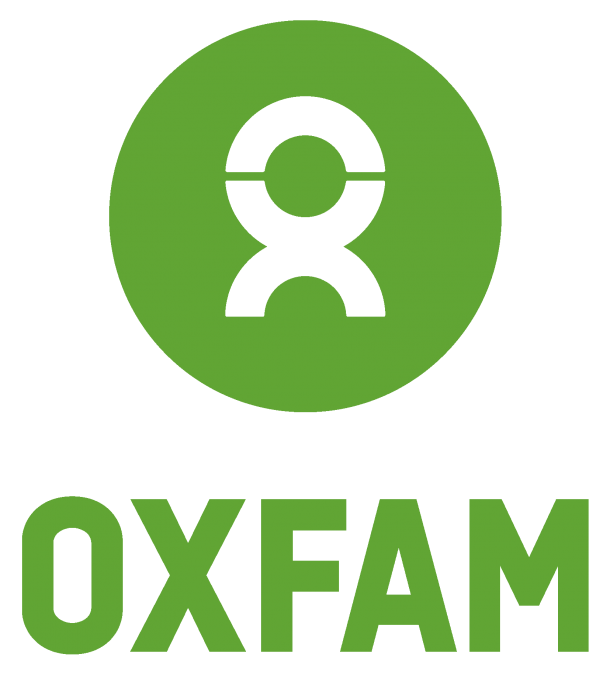 In my mind, the US road trip offers hope and a fresh slate and that’s what we are aiming for with our first-ever Oxfam tour to address human suffering in the supermarket supply chain. Oxfam analyzed how some of the largest supermarkets tackle critical issues affecting the people who produce the food they sell. The overall results reveal that US supermarkets aren’t doing enough to protect the rights of workers, address the rights and equality of women, support small-scale farmers, and be transparent throughout their operations in their supply chains. One of the main laggards in our assessment is Whole Foods. It is time to end the silence. For over one year, we have tried to engage with Whole Foods about human suffering in their seafood supply chain. Yet the company, along with its parent company Amazon, has declined a conversation with Oxfam. Our approach with all companies is to offer to work together to make improvements, but Whole Foods isn’t interested. That is why we are launching our Behind the Barcodes Food Truck tour from Washington, DC, to the Whole Foods headquarters in Austin, Texas). Once we arrive in Austin, we will deliver over 200,000 petition signatures of concerned consumers to the grocery chain, calling on them to make changes to the way they do business. It is time to stop the suffering in the Whole Foods supply chain. Consumers from all 50 states and 108 countries have added their voices to the petition. You might consider Whole Foods to be a sustainability champion among other US supermarket chains, but when it comes to human rights and transparency, Whole Foods is a laggard. Whole Foods is one of the lowest performers on the “Worker” indicator in Oxfam’s Behind the Barcodes scorecard, which measures, among other things, supermarkets’ ability to reduce the risk of workers being exploited by their suppliers and their commitment to good labor practices throughout their supply chain. While Whole Foods makes healthy profits, little of that money ever reaches the workers who produce the seafood they sell–who live in poverty, work in inhumane conditions, and struggle to feed their own families. Although Whole Foods isn’t the only supermarket chain that needs to make improvements, the grocer should live up to the sustainability standards it claims to follow. We tried in June to meet with Whole Foods leadership in Austin, but were turned away. Perhaps this road trip will clear the slate and we can start a timely conversation with Whole Foods about lasting change. What are we asking the company to do? At every destination, Oxfam staff and supporters will stop by Whole Foods locations and college campuses to speak with consumers and campaign supporters. We welcome the opportunity to meet with Whole Foods store managers to explain our campaign and steps the company can make to create lasting change for workers. We welcome the recent news that Amazon will implement a minimum wage of $15/hour to workers in the US and UK, but the company is also responsible for addressing the inhumane working conditions and low wages of workers in other parts of its supply chain, which should not go unnoticed in light of this recent announcement. As its parent company, Amazon should reach out to all stakeholders to jointly design solutions that eradicate inequality at all levels in the company and its subsidiaries. Follow along virtually or stop by to meet with our team in your city and take action! We will add your voice to the list when we present the petitions in Austin on October 15. That same day, we will also make the petition delivery to the Amazon headquarters in Seattle. Learn more about the Behind the Barcodes campaign and why Whole Foods is our focus. What do a Dutch supermarket and human rights have to do with your grocery list?